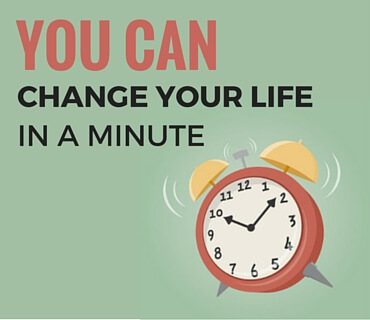 Today I’m going to share with you how you can change your life in just 1 minute. 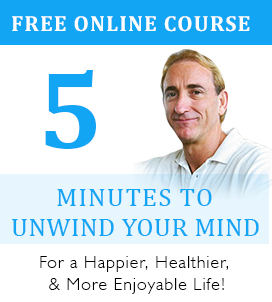 If you would like to know how you can take charge of your life and make your dreams come true in just one-minute, then this will help. Most people like to think that change takes time – but does it really? How ling does it actually take us to decide to make a change? The decision part is relatively quick, it’s just a matter of making up our mind. This is the part that takes a minute. What does take time is procrastinating about getting started once we have made the decision to make a change. Procrastination, or putting things off until tomorrow, or some time in the future that will probably never happen is the excuse of modern day men and women to not succeed. Think about it. If you want to quit your job, how long does it take to make the decision. That’s right one-minute or less. If you want to lose weight, how long does it take to make the decision? That’s right, one-minute or less. And if you want to let someone know how much you love them, how long does it take? I think you get the picture. Making changes in our life is easy as every change starts with a decision, and literally that’s just a thought away from happening for all of us. What we need to do is bridge the gap between making the decision to change, and actually making it happen. In this video I’m going to step you through how to fast track the time it takes from when you make a decision to change some part of your life, to taking action. All you have to do is follow the exact steps I show you and you’ll never need to worry about procrastination again. Well, how did you do? 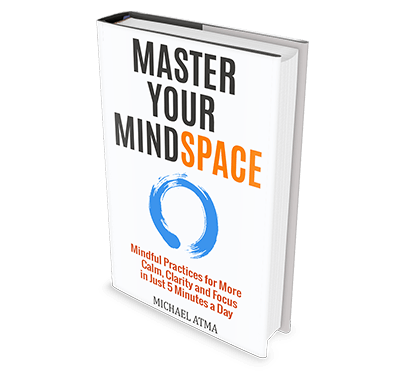 Hopefully you really got a sense of just how powerful it is to be living in the moment and become a master of the two steps I discussed. Having what we want in life is easy when we take the time to get clear about what we want and then get real about what we need to do to get there. Anything less is just a pipe dream. Change is a natural part of life and the times that we usually find ourselves struggling the most is when we are resiting changes that we know we need to make, yet resist. The moment we stop resisting change and start flowing with it, is the moment life once again becomes a grand adventure full of mystery and wonder.